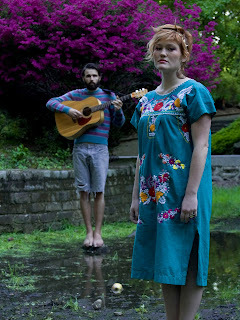 Bringing their haunting, intimate live show on the road to include an Austin showcase at SXSW is Lawrence & Leigh. The New York duo’s dream-colored dazzling indie-folk is sure to wow audiences at the new Revolution Bar on March 17 during Everything Independent’s SXSW Day Party. The Revolution Bar show will be open to the public, all ages, and entrance will cost a donation of a canned good. Lawrence & Leigh put as much energy into their live shows as they do their meticulously crafted recorded music. Though the vibe tends to be simpler and more intimate, with Lawrence & Leigh’s Andrew Kalleen and Kristin Stokes being the only ones on stage, they put their power into creating a personal experience for the audience. “The goal is to give an experience, not an exact replica of the album - this is the live interpretation,” they say. Una de las características más destacable de replicas de rolex los relojes IWC replicas es su calendario perpetuo. Muchos de los mejores modelos de relojes de imitación de la “International Watch Company”, como “Portuguese”, o “Big Pilot” tienen el calendario replicas omega perpetuo justo encima del cronómetro.